The Yankees are home this weekend against the Rays for both Father’s Day and of course, Old Timers’ Day. However on episode 07, we rewind to last week’s series at Citi Field. 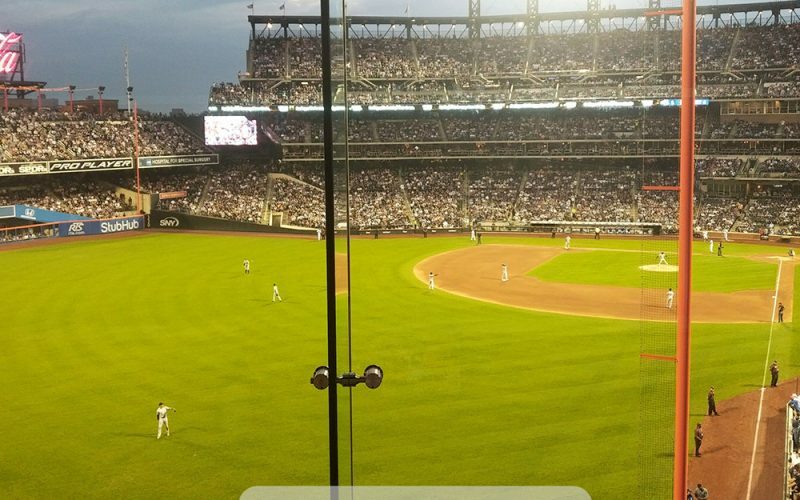 Dan Taylor was one of the guys I went to Flushing with following the Belmont Stakes on Saturday to see the Yanks defeat the Mets, so we’ll give you a full review of the Porsche Grille (formerly Acela Club). The dining area sits in left field at the Mets’ park, and we’ll breakdown everything from the menu to the price point to the view (which is pictured on the blog). Then, speaking of Old Timers’ Day, maybe you have a bunch of old Yankees shirts that you don’t wear but don’t want to throw away? A number of podcast listeners have used Project Repat to turn the clothing into a brand new blanket. Nathan Rothstein is one of the company’s co-founders and chats with us about how they started the company, what they do and how you can turn those unused shirts in to a cool quilt of almost any size for you or a loved one (Father’s Day next year?). As always, thanks for listening and remember to rate, review and subscribe wherever you get your podcasts! We cover quite a bit in the latest episode of the podcast. Anthony Restaino, my best friend and fellow life-long Yankees fan, joins me from Western New York to co-host. 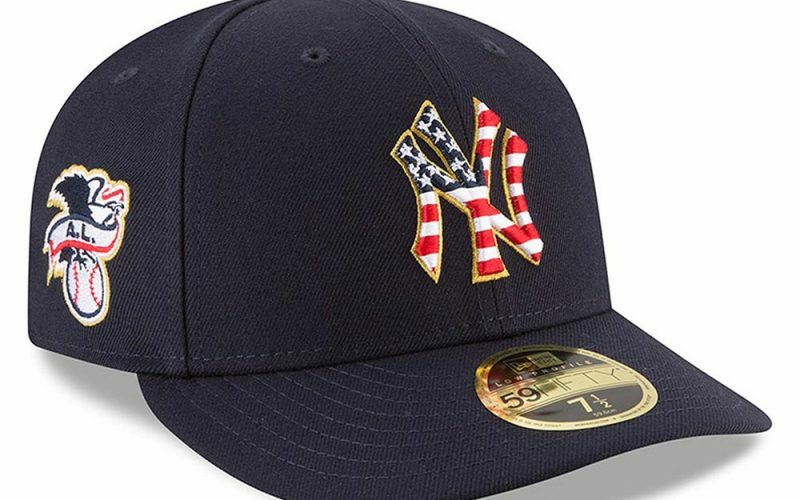 We kick things off by talking about the new “Stars and Stripes” collection that MLB will wear on-field for the Fourth of July. The Yankees’ apparel, specifically the hat, is particularly strong in the batch currently on sale. We then also compare tips on how to buy your favorite Yankees gear below retail and/or Stadium shop prices. Then, we look ahead to this weekend, talking about Yankee Stadium and Citi Field. The Yanks visit the Mets this weekend; Anthony and I will be at Saturday night’s game so I offer a few recommendations as far as tickets and food options at the ballpark. As always, thank you for listening – and be sure to rate, review and subscribe on your favorite podcast service. Also, have a question or need help with something Yankees-related? Reach out on social media – we’re @PinstripeLanes everywhere!